Sometimes a holiday at one camp is just not enough. 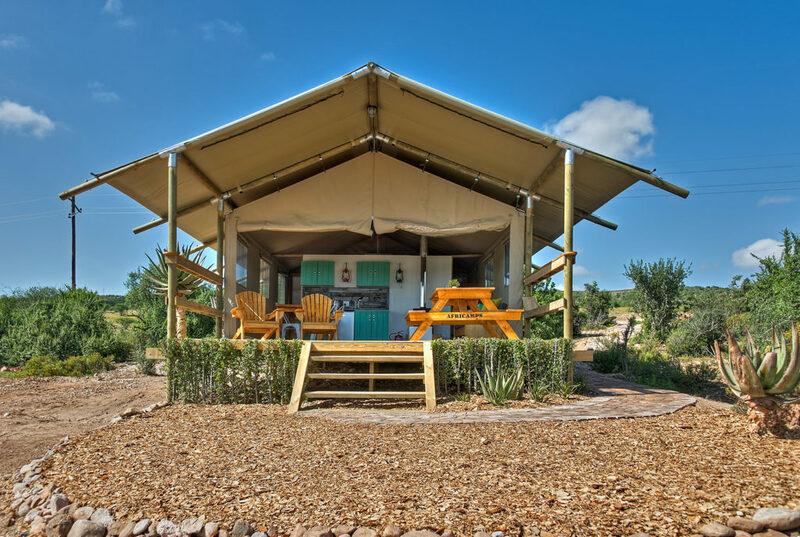 Now that we have three camps on the Garden Route and Route 62, we are introducing a full glamping tour. Yes, why not stay at all three! At the moment we are planning this route with different activities on the route and in the area. We will focus on three different groups of people, families with kids, couples and a group of friends in more details later. The route is planned for a total of 9 days, with a 3-day stay at each camp. You can add in a stop or two at different places on the Garden Route as well. For instance Mosselbay, George, Amalienstein, Hartenbos, Calitzdorp and Montagu are beautiful. It is also possible to do a shorter tour, of course, we just want to show you the possibilities. There is so much to see in the Western camp and along this route you can be sure that this will be a road trip that you won’t forget. 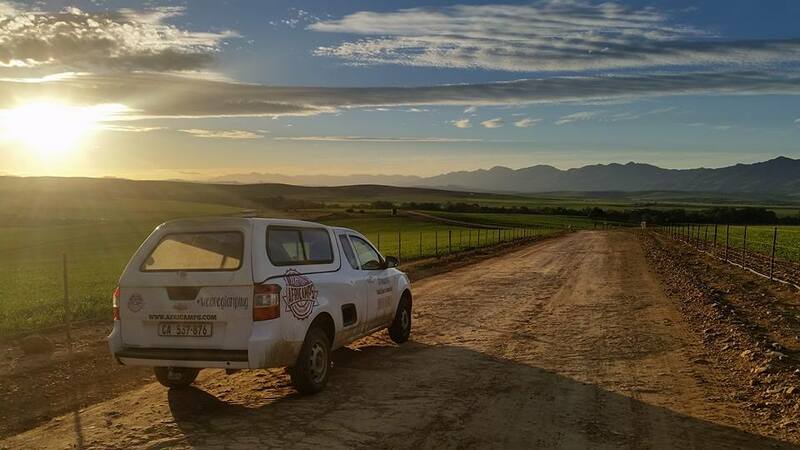 Starting from Cape Town it’s a 2.5-hour drive to our first camp AfriCamps at Kam’Bati in Swellendam. On your way there you can have a break at the Stormsvlei Restaurant & Farmstall, this is our recommendation for a great lunch. During your stay there you can also do a lot of things in the area. 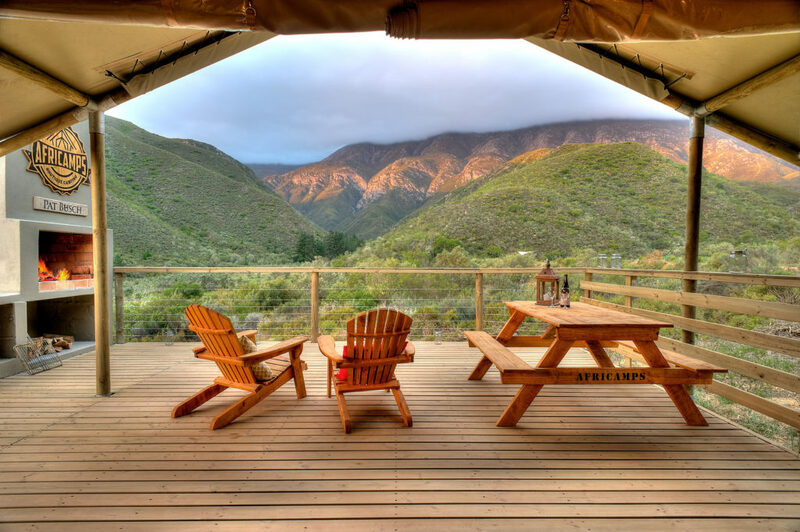 3 days in Swellendam will give you ample time to relax in your tent and to also explore the area. Some activities in the area are horse riding, canoeing, hiking and you can even book yourself a massage (can also be enjoyed in your tent) from Rain Spa. Do you want more info on the highlights surrounding AfriCamps at Kam’bati? 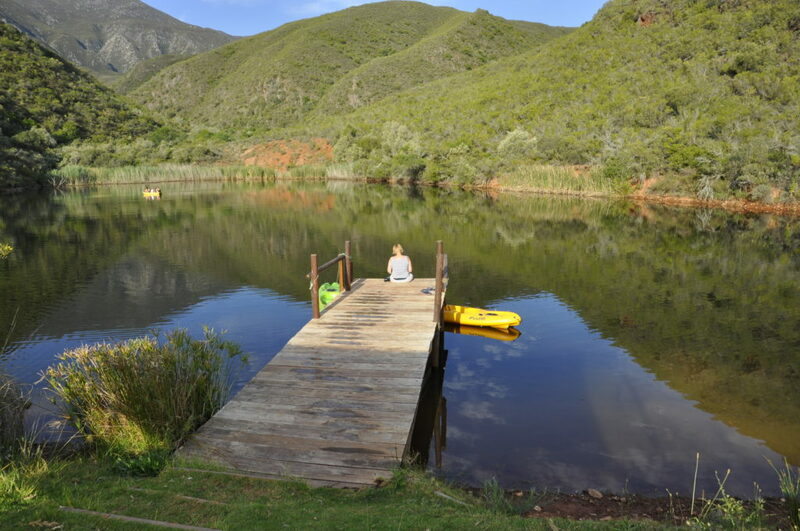 Read our blog post about things to do in Swellendam. Breakfasts and braai packs are also available for purchase at the farm. 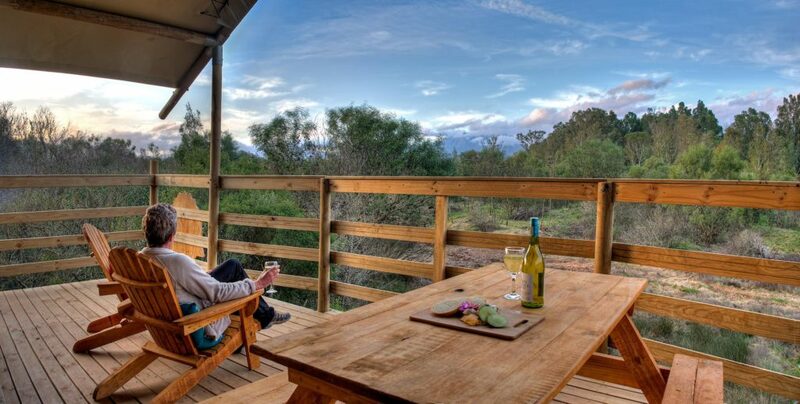 After your stay in Swellendam at Africamps at Kam’bati, you can move onto our next camp, AfriCamps Klein Karoo in Oudtshoorn. This drive will take you 2 hours and 50 minutes. If you go straight of course. However, if you want more of a scenic route you can take a detour and visit one of these three beautiful towns; Mossebay, Hartenbos and George. If you do not have a lot time then you can drive straight to Oudtshoorn through Barrydale where you can have take break at Clarke of the Karoo or visit the famous Diesel and Creme for a good lunch. Mosselbay, a harbour town is a beautiful place to visit. Thank you for the picture Reece Briesies. Hartenbos, a small town near to the beach is a perfect stop for a quick swim and some relaxing time on the beach. Thank you Perot Louw for this picture. Another coastal town to add on the list, should you choose the detour route is George, This will leave you with an hour and a half to head off to AfriCamps Klein Karoo. Thank you Beautiful Towns and Cities for this perfect picture. Ostriches and Cango Caves, both possible when you stay at AfriCamps Klein Karoo in Oudtshoorn. This location has become a favourite among many international guests as it offers something unique to their holiday. Besides the standard activities in the area, we offer sunset game drives and biking trails on the property. After 3 days in Oudtshoorn, it will be time to move onto Robertson. During this 3-hour drive. You can stop at Calitzdorp, Amalienstein and Montagu. 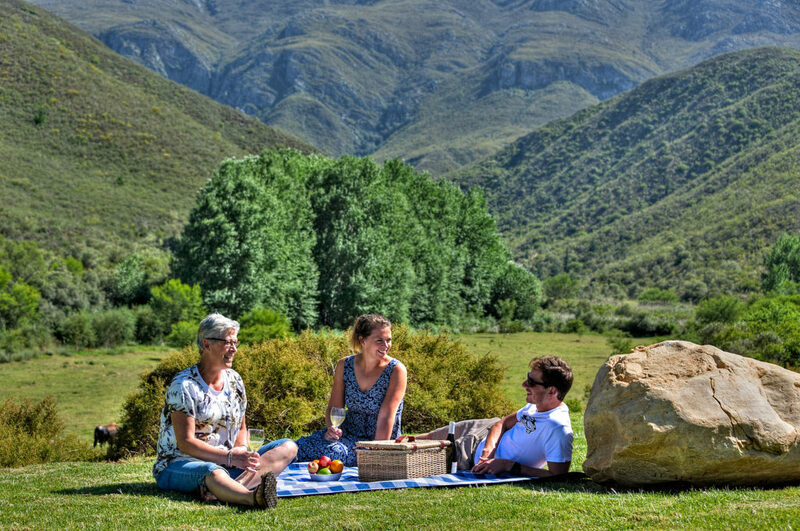 Why not try something different with Vilioensdrift wines & cruises for lunch and wine tasting, before checking in. Amalienstein, a town with rich historical past as it still is a mission station. Thank you, Sweis van der Horst for this picture. One of the most beautiful stops close to Robertson is Montagu. This town is a favourite among locals for it’s beautiful location and it’s great restaurants and coffee shops. Montague is also the home to Sanbona Wildlife reserve, why not add in more wildlife to your trip. Thank you for this picture Destinos In. 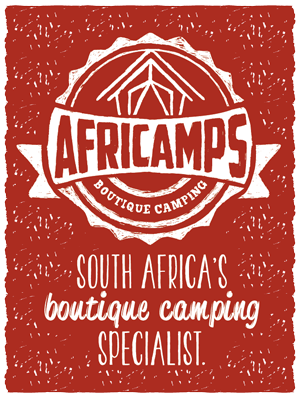 Africamps at Pat Busch in Robertson is the last stop on the list before you head back to Cape Town. There are a lot more that we can recommend, take a look at our blog about the things to do in Robertson. Breakfast baskets are available for purchase at this camp. With only 2 hours back to Cape Town you can drop in at Nuy on the hill for lunch, wine tasting and more spectacular views. This place is in a beautiful area, we are sure you would love it. Are you ready to book your glamping road trip?